The reasoning behind athletes wearing gloves vary, and it’s not always for performance enhancement; often times it’s for protection. For example, someone easing back into a lot of grip work (rope climbs, etc. ), doing a ton of calisthenic movements, or even aiming to prevent general hand wear and tear may reach for a pair. Bodybuilders, calisthenic athletes, and anyone doing a ton of volume with their grip may benefit from using a pair of gloves. After all, ripped up hands can derail progress at times. In this review, we put the popular Harbinger Pro Wristwrap Gloves through multiple tests. In our gauntlet of five tests, we assessed how these gloves performed with: Grip, versatility, feeling & fit, construction, and price. Buy Harbinger Pro Wristwrap Gloves HERE. In terms of grip, I was a little apprehensive at first of the Pro Wristwrap Glove. It has additional padding on the palm, so this glove felt pretty heavy before even using it. We tested this glove’s ability to grip in three different scenarios. First, we tested the glove with rope climbing. I thought it felt slightly awkward, and actually made climbing a little bit harder. The reach and pull of the climb was difficult with the additional padding, and I thought the palm of the glove slid more than it should. Second, we tried out pull-ups. 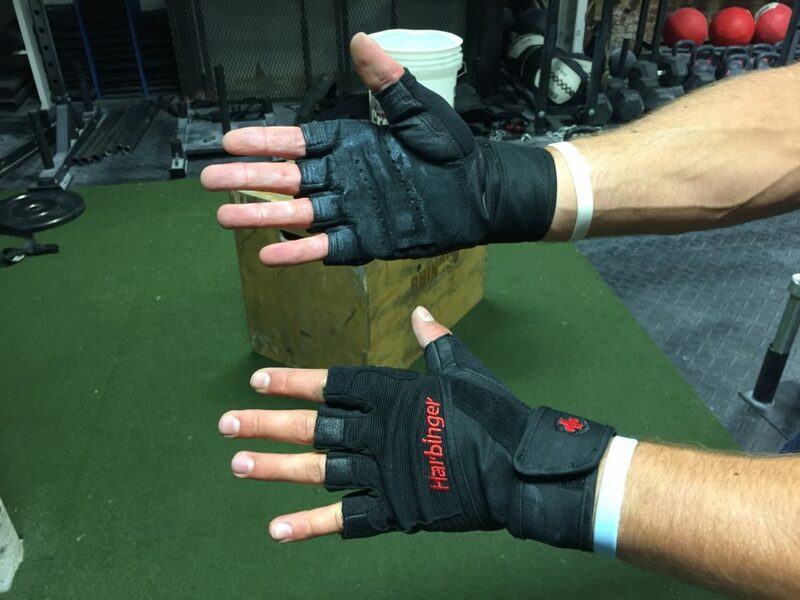 Calisthenic bar athletes often use gloves because of the amount of swinging and gripping they do on a regular basis. 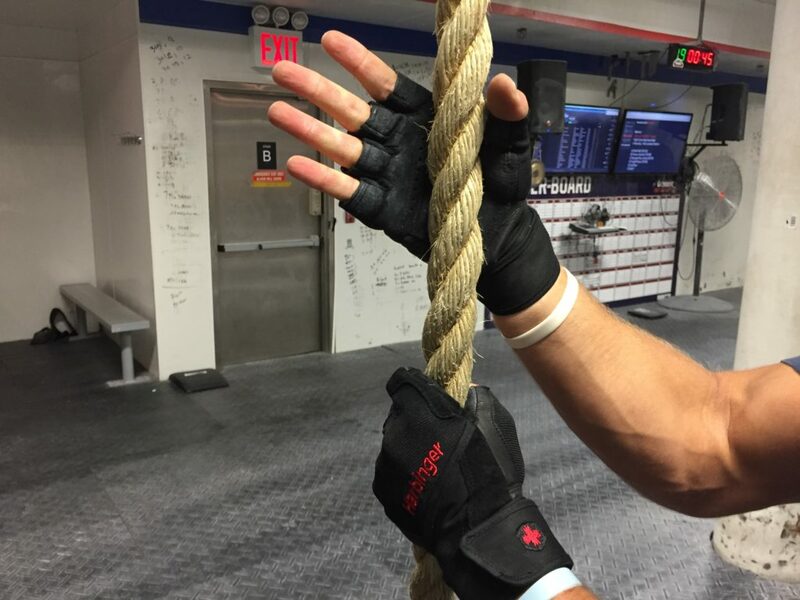 I liked this glove for pull-ups and thought the additional wrist wrap was a nice addition for wrist stability. Personally, I thought I was able to isolate the movement into the back a little better with it. Third, we tried a heavy dumbbell row. Similar to the rope climb, the dumbbell row had the padded palm material sliding. I liked the extra wrist support, but was worrisome with overall grip security if an athlete is doing high rep work. I thought these gloves were moderately versatile. In theory, I think they could be great gloves for multiple activities with the additional padding on the palm, but they lacked in some respects. As mentioned above, I thought they actually made rope climbing tougher, which docks them a few versatility points. Yet, when gripping metal like dumbbells and pull-up bars, I think the gloves did an exceptional job at giving you a versatile gripping option with wrist support. These gloves were comfortable, but they were heavy. If you want a lightweight glove that feels like nothing on the hand, then this isn’t the best option for you. On the opposing side, if you need a glove strictly for palm and hand protection, I thought in this respect glove felt good. We ordered a large sized glove, which is said to fit an 8-8.5″ inch hand. My hand is a little over 8″ from middle finger to base of palm. The glove fit pretty snug, but did move from time to time. But I think the additional wrist wrap helped compensate and keep it secure during times of slippage. When talking about pure construction, these gloves hit a lot of our asks. The palm and fingers have a heavy leather surface, and the thumb as additional foam padding. The wrist wrap is a somewhat thicker nylon with ample velcro to strap in and remain secure. There was one issue with the construction and that revolved around the fingers. I thought they frayed a little early, and that could be an issue for long-term use. 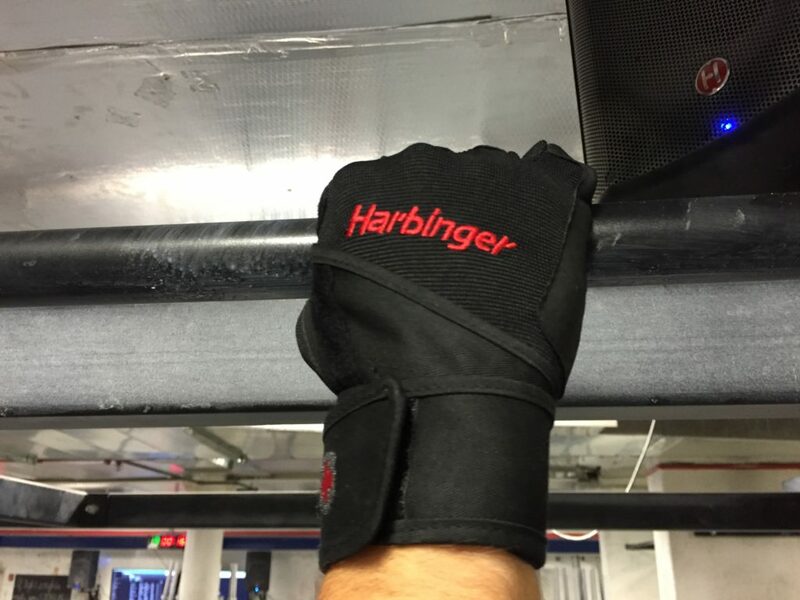 The Harbinger Pro Wristwrap Gloves cost around $21.99, which is in the middle of the road for lifting gloves. They’re more expensive than the simple gloves without padding and a wrist wrap, but they’re a little less than some of the more technical gloves. If you’re someone super worried about your hand’s skin, then these gloves are a good choice for you. Are gloves for everyone and every situation? No. But they can be useful tools for someone trying to avoid excessive hand damage from a ton of grip work. 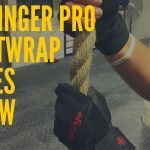 I think the Harbinger Pro Wristwrap Gloves could be a good option for someone performing more static movements, such as pull-ups and dumbbell work.